Do you remember that smart wood sandbox that we use for the kids while they are playing outside on some sandy or muddy site? Well, this might be a stupid question for many so pardon me. I mean who on earth won’t be knowing about this famous sandbox? The one who has played wildly in his childhood, the one who has enjoyed his childhood in a best manner would surely be aware of this wooden sandbox. This was probably your best companion while you were out there all lost in sand, playing with all your dirty clothes and lost in your own world. 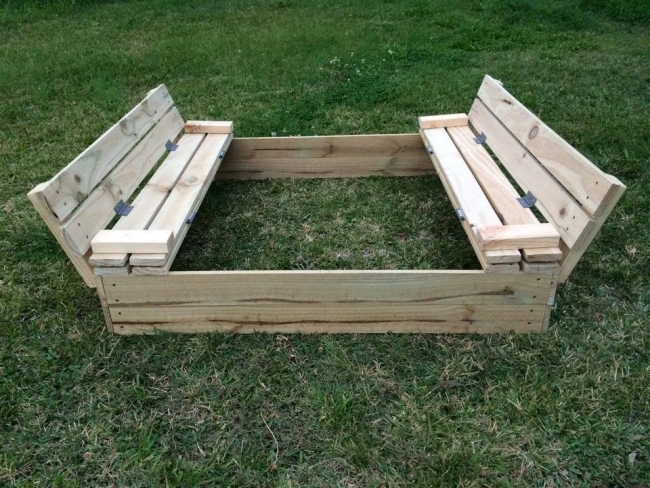 A sandbox is not necessarily always made with wood, this is also made with numerous other materials. But the most famous among all is the one made with wood. This is just like a wooden furniture item, a bench or stool that you could place on the sandy area. The kids sit on the bench and enjoy playing in the sand. Everything that belongs to the kids really fascinates me because I immediately think that how my kids would react if I bring this to them. So actually such pallet wood creations are always a way forward for me. We have discussed the kids play sandbox from all the perspectives, so now we have a general sketch of this sandbox inside our minds. 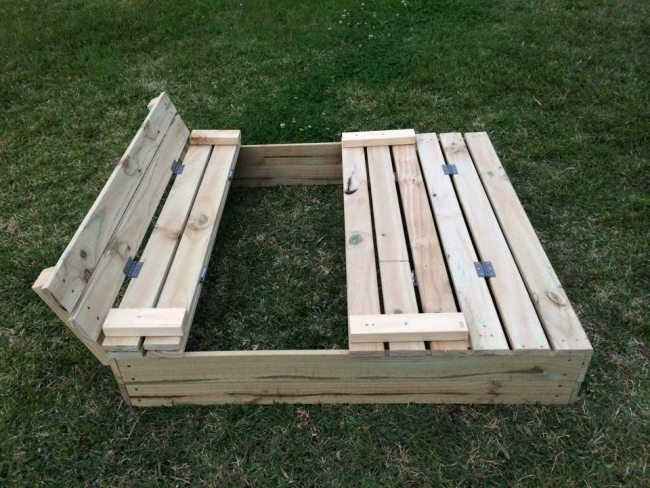 Here we are presenting you a superb wooden pallet kids play sandbox that we have repurpose with wood pallet planks entirely. 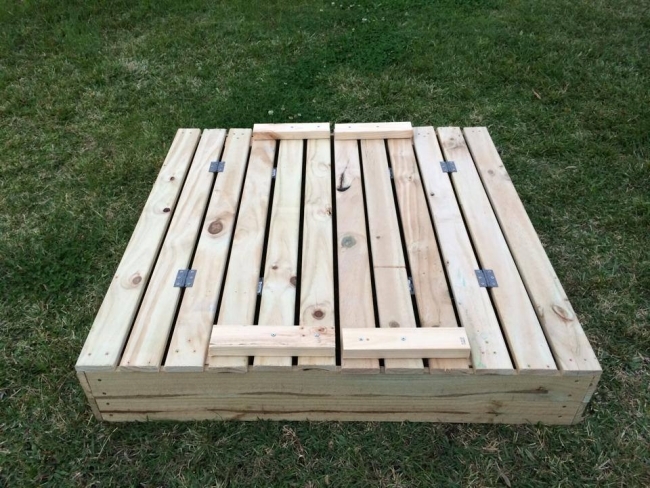 This portable sandbox could also be used as a mere table or deck. And its folding benches could be folded back again, just look at the design. When turned inside down, this becomes a plain wooden bench. So make this for your kids if you really want to do something solid for them.